This AZ Petrified Wood end cut/paperweight weighs just under 7.5 Lbs. It measures 6 x 7 1/2 x 2 inches. This item ships free anywhere in continental USA. This AZ Petrified Wood end cut/paperweight weighs over 6.5 Lbs. It measures 5 x 6 3/8 x 2 7/8 inches. This item ships free anywhere in the continental USA. This AZ Petrified Wood end cut/paperweight weighs just under 5 lbs. It measures 7 x 3 1/2 x 2 7/8 inches. This item ships free anywhere in the continental USA. This AZ Petrified Wood end cut/paperweight weighs just under 8 Lbs. It measures 5 1/2 x 7 1/2 x 3 inches. This item ships free anywhere in the continental USA. This AZ Petrified Wood end cut/paperweight weighs over 2 Lbs. It measures 4 5/8 x 5 1/2 x 1 3/8 inches. This item ships free anywhere in the continental USA. This AZ Petrified Wood end cut/paperweight weighs over 4 lbs. It measures 5 5/8 x 5 1/2 x 2 inches. There is a small flaw on the face. This item ships free anywhere in the continental USA. This AZ Petrified Wood end cut/paperweight weighs over 4.5 Lbs. It measures 4 3/8 x 7 x 2 1/2 inches. It does have a small flaw on the face. This item ships free anywhere in the continental USA. This AZ Petrified Wood end cut/paperweight weighs over 2 Lbs. It measures 2 5/8 x 7 1/4 x 1 7/8 inches. This item ships free anywhere in the continental USA. These 3 piece of AZ Petrified Wood end cuts/paperweights weigh over 2.5 Lbs. This item ships free anywhere in the continental USA. This AZ Petrified Wood end cut/paperweight measures 3 7/8 x 3 3/8 x 3 1/2 inches. This item ships free anywhere in the continental USA. This AZ Petrified Wood end cut/paperweight measures 6 x 3 x 1 3/4 inches. This item ships free anywhere in the continental USA. This AZ Petrified Wood end cut/paperweight measures 5 x 4 1/4 x 1 1/2 inches. This item ships free anywhere in the continental USA. This AZ Petrified Wood end cut/paperweight measures 3 1/2 x 2 1/2 x 4 inches. This item ships free anywhere in the continental USA. This AZ Petrified Wood end cut/paperweight measures 3 5/8 x 3 1/4 x 2 1/2 inches. This item ships free anywhere in the continental USA. This AZ Petrified Wood end cut/paperweight measures 5 x 2 x 2 1/4 inches. This item ships free anywhere in the continental USA. This AZ Petrified Wood end cut/paperweight measures 5 1/4 x 2 3/4 x 2 1/4 inches. This item ships free anywhere in the continental USA. This AZ Petrified Wood end cut/paperweight is 5 inches tall and measures 6 1/2 x 2 inches. It weighs over 3 Lbs. This item ships free anywhere in the continental USA. This AZ Petrified Wood end cut/paperweight is 4 1/2 inches tall and measures 3 3/4 x 2 1/2 inches. It weighs over 3.5 Lbs. This item ships free anywhere in the continental USA. This AZ Petrified Wood end cut/paperweight is 3 3/4 inches tall and measures 6 3/8 x 3 inches. It weighs over 2.5 Lbs. This item ships free anywhere in the continental USA. This AZ Petrified Wood end cut/paperweight measures 5 7/8 x 4 1/4 x 3/4 of an inch. Stand sold separately This item ships free anywhere in the continental USA. This AZ Petrified Wood end cut/paperweight measures 6 x 5 x 3/8 of an inch. Stand sold separately This item ships free anywhere in the continental USA. This AZ Petrified Wood end cut/paperweight measures 6 5/8 x 3 3/4 x 1/2 of an inch. Stand sold separately This item ships free anywhere in the continental USA. This AZ Petrified Wood end cut/paperweight measures 4 7/8 x 2 1/2 x 1/2 of an inch. Stand sold separately This item ships free anywhere in the continental USA. This AZ Petrified Wood end cut/paperweight measures 5 x 3 1/4 x 5/8 of an inch. Stand sold separately This item ships free anywhere in the continental USA. This AZ Petrified Wood end cut/paperweight measures 4 7/8 x 3 1/2 x 1/2 of an inch. Stand sold separately This item ships free anywhere in the continental USA. This AZ Petrified Wood End cut/Paperweight measures 5 1/4 x 5 3/4 x 2 1/4 inches. It weighs 4.5 Lbs. This item ships free anywhere in the continental USA. This AZ Petrified Wood end cut/paperweight weighs over 2 Lbs. It measures 5 5/8 x 2 1/2 x 2 1/2 inches. This item ships free anywhere in the continental USA. This AZ Petrified Wood end cut/paperweight weighs just under 2 Lbs. It measures 3 1/2 x 3 3/8 x 1 7/8 inches. This item ships free anywhere in the continental USA. This AZ Petrified Wood end cut/paperweight is 3 1/2 inches tall and measures 5 3/8 x 1 3/4 inches. It weighs over 2.5 Lbs. This item ships free anywhere in the continental USA. This AZ Petrified Wood end cut/paperweight measures 4 x 3 3/8 x 1/2 of an inch. Stand sold separate. This item ships free anywhere in the continental USA. This AZ Petrified Wood end cut/paperweight measures 6 x 3 7/8 x 1/2 of an inch. Stand sold separate. This item ships free anywhere in the continental USA. This AZ Petrified Wood end cut/paperweight measures 6 1/2 x 3 3/4 x 1/2 of an inch. Stand sold separate. This item ships free anywhere in the continental USA. This AZ Petrified Wood end cut/paperweight measures 5 1/4 x 3 x 1/2 of an inch. Stand sold separate. This item ships free anywhere in the continental USA. This AZ Petrified Wood end cut/paperweight measures 3 1/2 x 3 1/2 x 3/4 of an inch. This item ships free anywhere in the continental USA. This AZ Petrified Wood end cut/paperweight measures 5 x 3 1/4 x 3/8 of an inch. Stand sold separate. This item ships free anywhere in the continental USA. This AZ Petrified Wood end cut/paperweight measures 6 3/4 x 6 x 2 inches. It weighs over 3.5 Lbs. It does not stand on its own. Stand not included. This item ships free anywhere in the continental USA. This AZ Petrified Wood end cut/paperweight measures 6 1/4 x 6 3/4 x 1 3/4 inches. It weighs over 5.5 Lbs. It does not stand on its own. Stand not included. This item ships free anywhere in the continental USA. This AZ Petrified Wood end cut/paperweight measures 5 x 2 1/4 x 4 inches. This item ships free anywhere in the continental USA. This AZ Petrified Wood end cut/paperweight measures 4 x 4 x 3 inches. This item ships free anywhere in the continental USA. This AZ Petrified Wood end cut/paperweight measures 5 1/2 x 3 x 2 1/2 inches. This item ships free anywhere in the continental USA. This AZ Petrified Wood end cut/paperweight measures 4 x 2 x 3 inches. This item ships free anywhere in the continental USA. This AZ Petrified Wood end cut/paperweight measures 4 1/2 x 6 x 3 1/2 inches. This item ships free anywhere in the continental USA. This AZ Petrified Wood end cut/paperweight 4 x 2 1/2 x 3 1/2 inches. This piece ships free anywhere in the continental USA. This AZ Petrified Wood end cut/paperweight measures 3 3/4 x 2 1/2 x 2 1/4 inches. This item ships free anywhere in the continental USA. This End cut/Paperweight measures2 7/8 X 2 3/4 X 2 5/8 inches. This item ships free anywhere in the continental USA. This End cut/Paperweight measures 3 1/4 X 2 3/8 X 1 7/8 inches. This item ships free anywhere in the continental USA. This End cut/Paperweight measures 5 1/2 X 3 1/2 X 2 inches. This item ships free anywhere in the continental USA. This AZ Petrified Wood End cut/Paperweight weighs over 4 lbs. It measures 5 3/8 x 5 3/4 x 2 1/4 inches. This item ships free anywhere in the continental USA. This AZ Petrified Wood End cut/Paperweight measures 3 x 5 x 3 inches. This item ships free anywhere in the continental USA. This AZ Petrified Wood End cut/Paperweight weighs 2.5 Lbs. It measures 4 1/4 x 4 7/8 x 2 3/8 inches. This item ships free anywhere in the continental USA. This AZ Petrified Wood End cut/Paperweight weighs over 2 Lbs. It measures 4 3/8 x 4 3/4 x 1 5/8 inches. This item ships free anywhere in the continental USA. This AZ Petrified Wood end cut/paperweight measures 4 1/2 x 4 1/2 x 3 inches. This item ships free anywhere in the continental USA. This AZ Petrified Wood end cut/paperweight measures 4 x 4 1/2 x 2 1/2 inches. This item ships free anywhere in the continental USA. 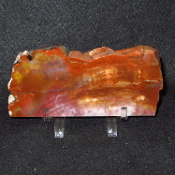 This AZ Rainbow Petrified Wood End cut/paperweight measures 2 1/2 x 5 1/2 inches. It weighs 2 Lbs. This item ships free anywhere in the continental USA. This AZ Petrified Wood end cut/paperweight measures 5 x 5 x 1 1/2 inches. This item ships free anywhere in the continental USA. This AZ Petrified Wood endcut/paperweight measures 6 x 4 x 2 1/2 inches. It weighs over 4.5 Lbs. This item ships free anywhere in the continental USA. This AZ Petrified Wood End cut/Paperweight measures 4 x 4 inches. This piece does have a polishing flaw on the bottom left corner. This item ships free anywhere in the continental USA. This AZ Petrified Wood End cut/Paperweight 4 1/2 x 5 x 1 1/2 inches. It weighs over 2.5 Lbs. This item ships free anywhere in the continental USA. This AZ rainbow Petrified Wood end cut/paperweight measures 5 X 5 1/2 inches and is 2 1/2 inches thick. It has been cut on the bottom so it stands on its own. This item ships free anywhere in the continental USA. This AZ Petrified Wood end cut/paperweight measures 5 x 5 1/2 x 2 inches. It weighs over 5 Lbs. This item ships free anywhere in the continental USA. This AZ Navajo Petrified Wood end cut/paperweight measures 5 3/4 x 4 1/4 inches. It weighs over 3.5 Lbs. This item ships free anywhere in the continental USA. This AZ Petrified Wood end cut/paperweight measures 6 x 4 x 1 3/4 inches. This item ships free anywhere in the continental USA. This AZ rainbow Petrified Wood end cut/paperweight measures 5 X 4 1/2 inches and is 2 inches thick. It has been cut flat on the bottom so it stands on its own. This item ships free anywhere in the continental USA. This AZ Petrified Wood end cut/paperweight measures 2 x 5 1/2 x 2 1/2 inches. This item ships free anywhere in the continental USA. This rainbow AZ Petrified Wood end cut/paperweight has been cut and polished. It measures 4 1/2 X 4 1/2 inches. There is a small chip on the top. This item ships for free anywhere in the continental USA. This AZ Petrified Wood end cut/paperweight measures 5 1/4 x 5 x 1 inch. This item ships free anywhere in the continental USA. This AZ Petrified Wood end cut/paperweight measures 4 1/4 x 3 1/2 x 1 1/4 inches. This item ships free anywhere in the continental USA. This AZ rainbow Petrified Wood end cut/paperweight measures 4 X 6 inches. This piece has been cut on the bottom so it stands on its own. This item ships free anywhere in the continental USA. This AZ Petrified Wood End cut/Paperweight measures 6 x 3 inches. This item ships free anywhere in the continental USA. This AZ Petrified Wood end cut/paperweight measures 6 1/2 x 4 x 4 inches. This item ships free anywhere in the continental USA. This AZ rainbow Petrified Wood end cut/paperweight measures 4 1/2 X 4 3/4 inches. It has been cut flat on the bottom so it stands on its own. This item ships free anywhere in the continental USA. This AZ Petrified Wood endcut/paperweight measures 5 x 6 x 1 inch. It weighs over 2.5 Lbs. This item ships free anywhere in the continental USA. This AZ Petrified Wood End cut/Paperweight measures 4 x 5 inches. This item ships free anywhere in the continental USA.